Route changes: None. Time and Frequency changes: Service 34 has found it very challenging keeping to time during the Monday to Friday peak travel to work times. To address this, up to an additional 10 minutes per journey has been applied to a number of peak time journeys with a number of early morning and mid evening journeys having their departure times adjusted in order to fit in the extra time. Evening services reduced from around 19:00 as part of our changes to the service 29 and 28B Monday to Saturday. Route changes: None Time and Frequency changes: Plymouth Citybus changed this service from the 31st August and despite conducting extensive time trials we have found the section of route between Derriford Hospital and Tavistock very difficult to keep to time. The changes to the timetable in the main add an additional 5 minutes in each journey allocated to the section of route between Tavistock and Derriford Hospital. This additional time has been put into the Service Monday to Saturday. Service 42A/B Route changes: None Time and Frequency changes: Some journeys have needed to move by a few minutes as a consequence of the changes to the Service 42. Route Changes: None Time and Frequency changes: Service frequency adjusted Monday to Saturday to operate up to every 15 minutes for most of the day, with buses providing through journeys on the Service 50 to Derriford Hospital via Prince Rock and Estover. Through journeys available Sunday to Saturday across the day with through fares available. The change in frequency on the Service 43 provides a frequency of up to every 5/10 minutes Monday to Friday and 7/8 minutes Saturdays along Victoria Road. 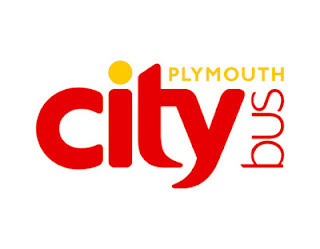 There would also be 14 buses an hour operating between St Budeaux square and the City Centre Monday to Friday and up to every 5 minutes on Saturdays with Services 5/A and 29/A. Route Changes: No Change in the route between the City Centre and Ivybridge Town Hall. From the Town Hall the service is to be withdrawn from Exeter road and Rail Station and instead is to operate up to every 30 minutes along Hartford Road, Cole Lane, St Peters Way, Woolcombe Lane, then into Leonards Road past the Town Hall around the roundabout then back to Plymouth as per the current route. Time and Frequency changes: Sunday and Bank Holiday services are to be withdrawn. No changes to the frequency of Service Monday to Saturday with an additional journey to Ivybridge leaving Plymouth at 20:25 Monday to Saturday. Route Changes: Service to be withdrawn from Charles Street and Mayflower Street and will instead operate from Exeter Street to Royal Parade via Exeter Street Viaduct and St Andrews Cross Time and Frequency changes: No changes to the frequency with journeys from the City Centre generally operating 8 minutes later than current and departing 5 minutes earlier than current from Derriford Hospital with buses providing through journeys to Western Approach, Milehouse and St Budeaux on the Service 43 Sunday to Saturday with through fares available. FOCUS TRANSPORT: Launch Date Set for Trams to Manchester Airport Services on Metrolink’s new line to Manchester Airport will open to passengers on Monday 3 November – well over 12 months ahead of schedule. GREAT YARMOUTH BUS PAGE: Norse Bus Crash Rackheath, Norwich Norse coach YP52 KRZ collided with a car coming the opposite direction along the A1151 (Wroxham Road). The coach was Wroxham bound for my school after a day out at the UEA when the accident happened at around 2:30. IPSWICH BUS BLOG: 200TH BLOG NEWS AND VINTAGE PHOTOS Welcome to the 200th Blog Ladies and Gentleman, with special pictures coming up later on in the blog, it's taking me 2 years and 3 months to get this far and we haven't finished yet. Well well. The 06.45 ferry saga reared its ugly head. But this time the Kingsand Service 32 got its comeuppance and broke down on the ferry. So unfortunately late for work again but at least this time I have the satisfaction of the fact the bus that should not get priority as it is not in service go did not even make it to the start of its journey. To add to your wows a packed 32 bound for Millbrook broke down on the slip way on Friday. How long must the poor people of Torpoint have to put up with this unreliable service. Re the 0645 ferry saga: I can confirm that the 0645 to Kingsand is shown as operating IN SERVICE on the driver's running card, commencing from Stoke Village at 0632. This seems to have been omitted from the public timetables. It displays a route number, so is in service, and would not be allowed in the priority lane otherwise. Not necessarily - only sight of the service registration would prove whether it is in service or not. Please note that I am not suggesting that PCB is running an unregistered journey, although they may be, I am merely saying that the driver's running card and display of a service number does not actually prove that it is in service. But the fact the 06.32 is a tendered service does.